Since XII century on the Mountain Krylos there were Halych bishops’ chambers and since XVI century – metropolitan chambers. Basements of metropolitan chambers of XVII century were found in the nearby tract “Old palaces”. During the Bishop Lev Sheptytskyi in the middle of XVIII a wooden residence was built, and later in the beginning of XIX century during the Bishop Skorodynskyi – a palace made of bricks. Building materials ware taken from the demolished St. IIlia Church (XII-XIII). Here lived Halych metropolitans; that’s why it was called “Metropolitan Chambers”. It was the last summer residence of Halych metropolitan Andrei Sheptytskyi. 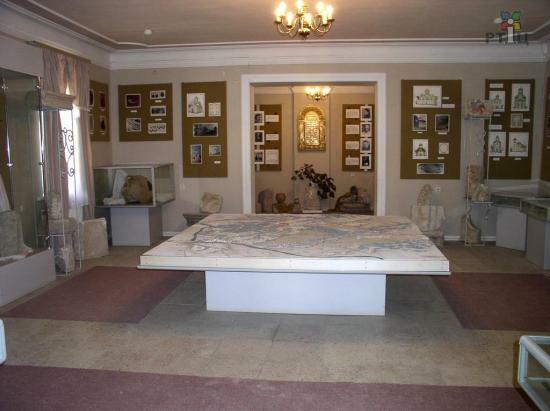 In 1960 in the chambers branch of Ivano-Frankivsk local history museum – “Ancient Halych” was opened. Since 1994 it belonged to the National reserve of the same name. On the occasion of 1100 years of Halych building was restored. An exhibition devoted to the before annalistic and princely periods of Halych history has been renewed.